There's no better way to get excited about the world outside than with Seedling Design Your Own Bird House. Perfect for keeping little artists engaged for hours on end, this kit will help enhance a child's awareness of the outside world while encouraging creative play. Why not use it as a unique weekend activity in the summer? Inside the beautiful eco-friendly packaging you'll find a wooden birds house for decorating, ACRYLIC PAINTS in all the colours of the rainbow, a paint brush and a set of instructions to get you started. 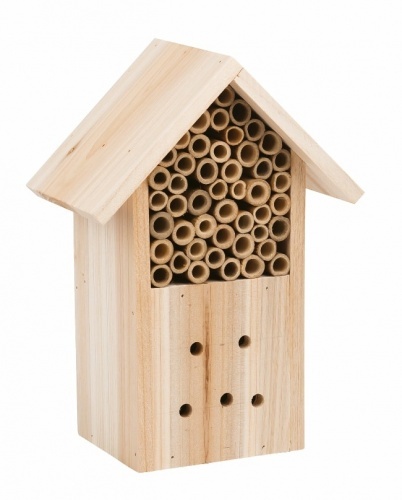 Make this wooden bird house as colourful as you fancy to attract new and exciting wildlife into your garden. Little artists will love showing their creation to visiting friends and family, especially if it’s full of nesting birds. Why not give this unique kit as a birthday gift to make a certain someone extremely happy indeed?